Kerry: 'Risk of not acting greater' Jump to media player The US Secretary of State, John Kerry, has said that the risks of not taking action in Syria outweigh the risks of intervention. 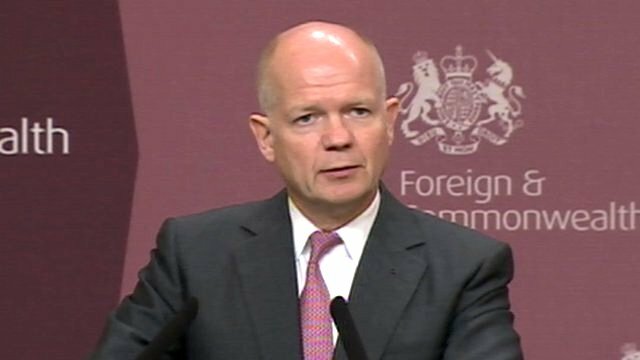 UK 'closely aligned' with US on Syria Jump to media player Foreign Secretary William Hague has said that the UK and the US remain "closely aligned" on Syria despite the House of Commons' vote ruling out military action. 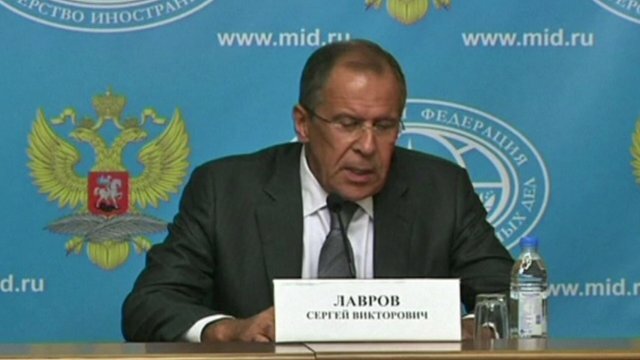 Russia tries to break Syria deadlock Jump to media player Russia tells Syria to turn in chemical weapons in a bid to avoid US military action. 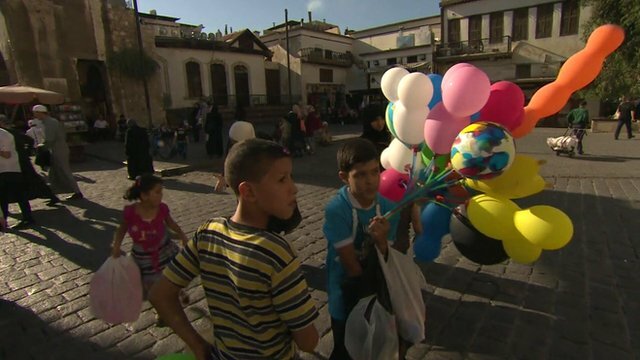 Illusion of normality in Damascus Jump to media player The BBC's Jeremy Bowen reports from Damascus, where street life continues, but the threat of a potential US strike looms over Syria. Kerry in London for Syria talks Jump to media player In an interview with the US broadcaster PBS, the Syrian president, Bashar al-Assad, is said to have yet again denied any involvement in a chemical weapons attack on Damascus suburbs last month. 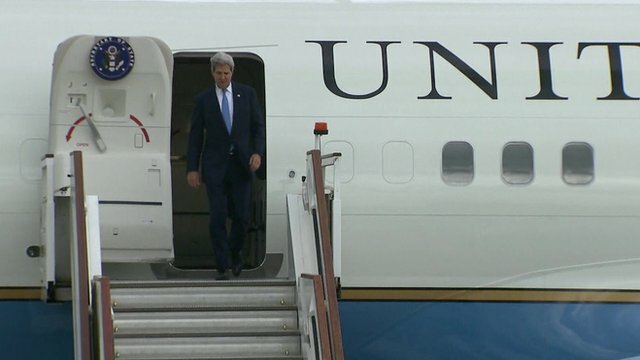 It comes as US Secretary of State John Kerry arrives in London ahead of talks on the crisis. 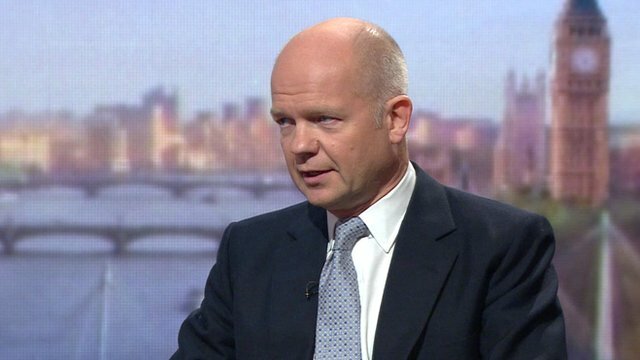 Hague: UK has 'learned lessons of Iraq' Jump to media player Foreign Secretary William Hague says there are "many parts" of the government's Syria strategy in play despite losing the Commons vote to take action. 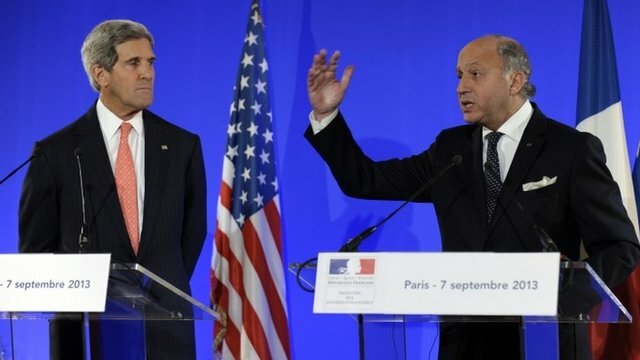 Kerry in Paris for Syria strike push Jump to media player US Secretary of State John Kerry has travelled to France to drum up support for a US military strike against President Bashar al-Assad's forces in Syria. The US Secretary of State, John Kerry, has said that the risks of not taking action in Syria outweigh the risks of intervention. 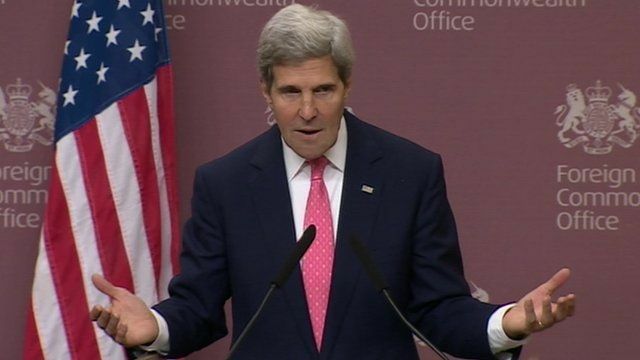 Speaking at a news conference at the Foreign Office in London, Mr Kerry said that there was compelling evidence that should not be ignored by the world that the Assad regime had used chemical weapons.